This type of survey using radio imaging technology is capable of studying in detail the space between the boreholes. 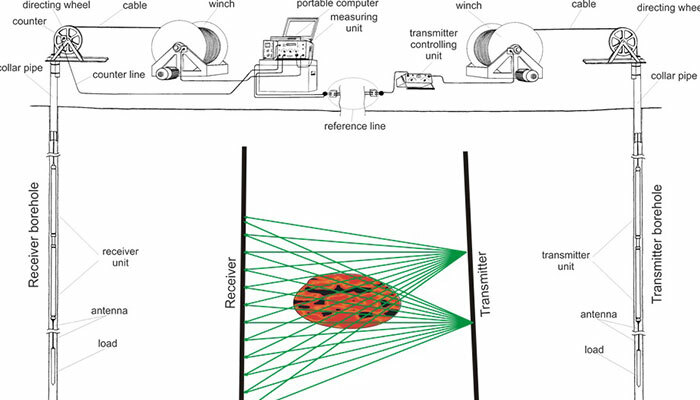 Using the RIM technique, it is possible to produce a visual representation of the space passing through the holes in terms of resistivity values. The RIM system uses electromagnetic waves transmitted from one borehole to another. The nature of the different mediums encountered and their ability to absorb electromagnetic waves will modify the intensity of the received signal. VMS type conductors are an excellent medium for absorbing energy. 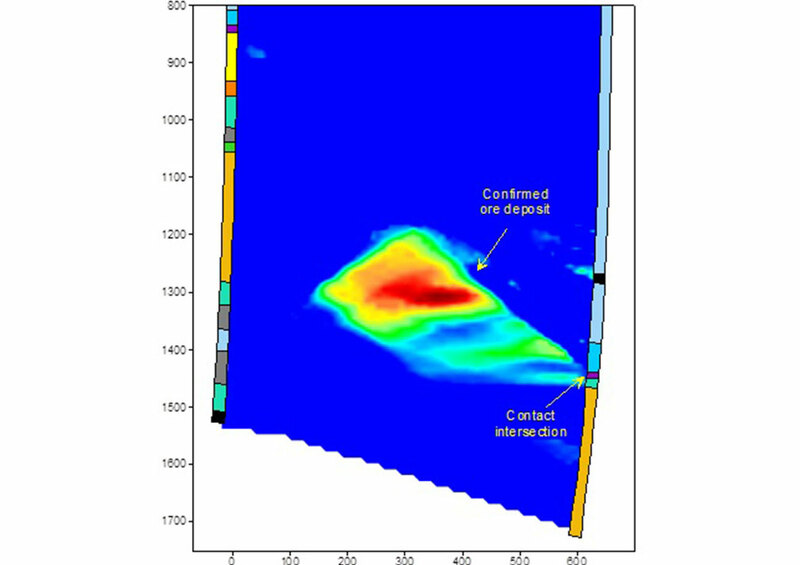 This technique reduces the cost of drilling by presenting the most prospective location for exploration.